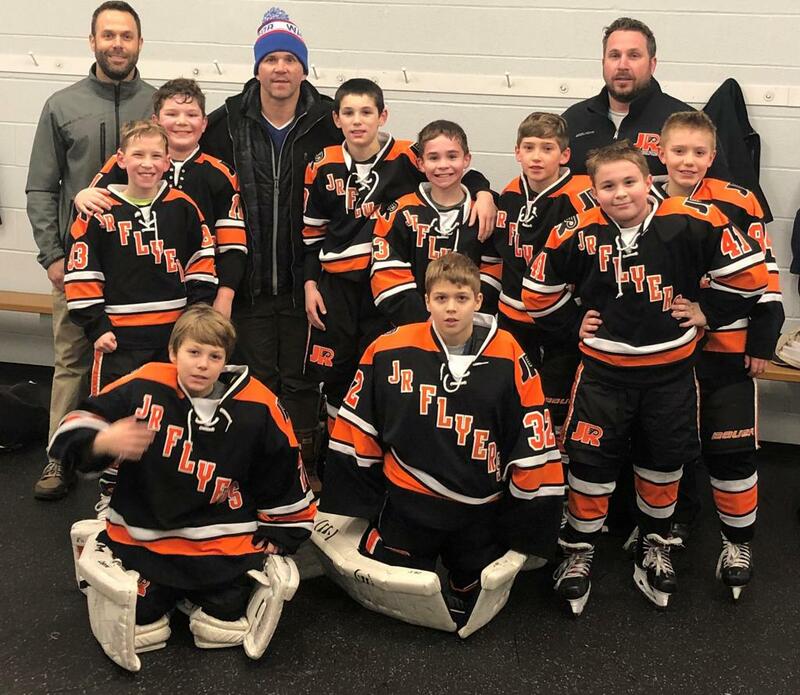 The Jr. Flyers Squirt Majors traveled to Buffalo, NY last weekend to play in the North American Cup Challenge. The ‘08’s final game last Sunday was against the Mid-Fairfield Rangers, who are ranked as the number one team in the country. Oh, and they happened to be coached by National Hockey League Hall of Famer Marty St. Louis. Although they fielded a team with only seven skaters and two goalies, the ‘08’s played a hard-fought game. Despite the loss, St. Louis came into the Jr. Flyers locker room to express how impressed he was with the team’s effort and grit, despite fielding a less-then full team. Although Mid-Fairfield won the tournament, the ‘08’s showed that with a full squad next season that they will be a tough team to beat at the Pee Wee Minor level.